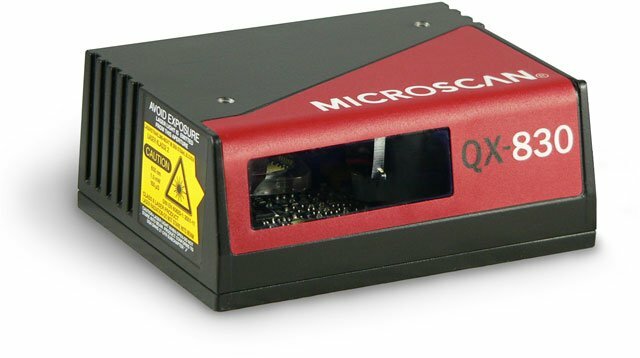 The Microscan QX-830 laser scanner combines revolutionary flexible connectivity with high performance decoding capabilities to reliably read 1D barcodes in almost any automation environment. In addition to the Quick Connect System and X-Mode Technology, the QX-830 features IP65 industrial sealing and optional embedded Ethernet protocols. Great product for industrial conveyor scanning. The Microscan FIS-0830-0004G is also known as Microscan Systems	FIS-0830-0004G	or FIS08300004G	.